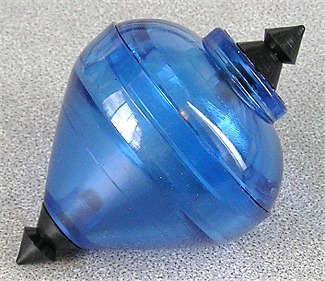 Bulldog series of spin tops were light, small tops from YoYoJam. No weight rings on this one either. Pictured here is the most unusual Bulldog top, the DT, or Double Tip version. Double bearing top, with a tip top and bottom for some truly unusual tricks.